Dhavanam is an herb with fragrance which is in the genus of small herbs or shrubs and is xerophytic in nature. The flowers are racemose panicles and have many small yellow flower heads or capitula. The silvery white silky covering in the below part gives the foliage a grey or white appearance. Dhavanam is cultivated commercially for the fragrant leaves and flowers. There are two types of plants out of which one is short in build and flowering sets in early. The other type of plants is tall and lowering sets in later. From seeds and cutting it reaches maturity in about four months. The lower part of the plant is woody in nature and has yearly branches. This plant is seen widely in states of Andhra Pradesh, Maharashtra, Tamil Nadu and Karnataka in India. Dried davana plants are used widely as aromatic bouquet and its leaves and flowers provide an essential oil called the Davana oil. Some species are used as fodder and some of them are source of anthelmintic chemical santonin. The major components of davana oil are davanone, divan ether, divan furan and linalool. The other components are methyl cinnamate, ethyl cinnamate, bicyclogermacrene, 2-hydroxyisodavanone, farnesol, geranyl acetate, sesquiterpene lactones and germacranolides. Davana oil is used in the making of perfumes of sweet and fruity fragrances. It can be applied on the skin and it smells differently on different persons. This special feature of the oil is highly valued in high class perfumery and is used for creating fragrances with specific individual notes. The leaves and stalks are also used in making garlands using the fresh or dry flower arrangements. There are many health benefits for Davana oil and it is considered as a good antidepressant, antiseptic, disinfectant, expectorant, relaxant and vulnerary substance. The oil is extracted from the flowers of the davana plant using the steam distillation method. 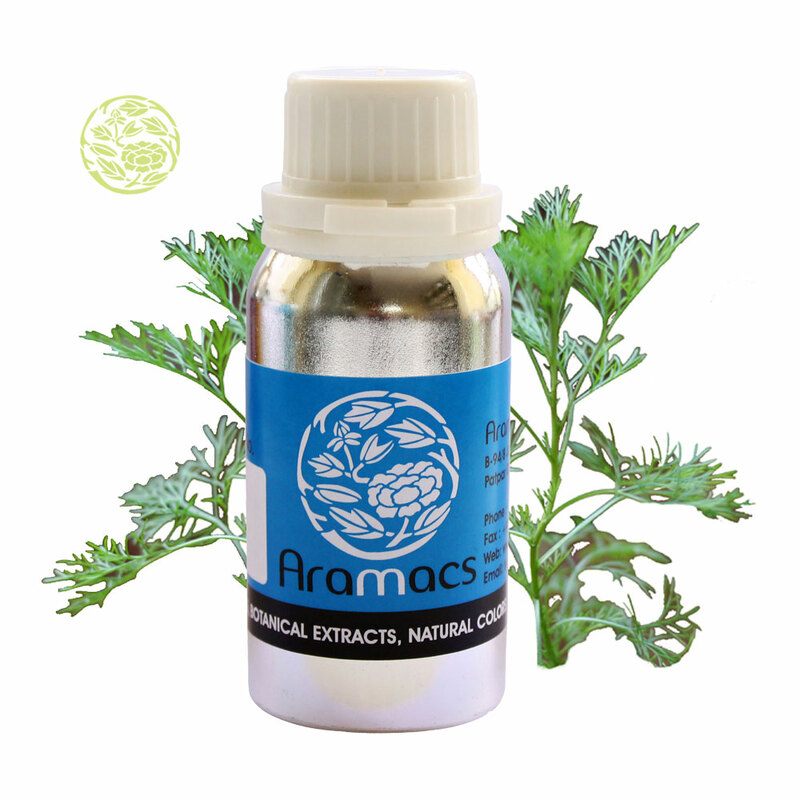 Botanical name of davana plant is Artemisia Pallens and is used widely in India for religious purposes. It is a member of the daisy family called Asteraceae and it is called davanam in Tamil and davana in Kannada. There are many historical uses and its roots are deeply set in the religious traditions of Indian culture. The divan oil has widespread application all over the world and is used in traditional Ayurvedic medicine formulations as an aphrodisiac and mood elevator. Davana was used as a part of the Indian folklore medicine for treating diabetes mellitus and high blood pressure. Davana oil became popular in the middle of the 20th century when it earned the attention of perfumers and flavour specialist in the United States and Japan where it used as flavour ingredient for bakery, beverages and tobacco. Davana oil is also used in other branches of complementary and alternative medicines called Unani and traditional Chinese medicine. The stem, leaves and flowers are used as an effective antiseptic and disinfectant for the treatments of wounds, cuts and infections like cold, cough, measles etc. Davana oil provides effective protection against viral attacks by breaking the protective covering of viruses called the cyst. It is ideal for curing viral infections like cough and cold, influenza, measles and many more. Davana oil is an effective expectorant and it loosens up tough coughs and phlegm deposits in the respiratory tracts and helps in making the breathing easier. It eases congestion and reduces coughs and is also good for the treatment of other problems like headaches and pains in the joints connected to cold. Davana oil is a good relaxant also. It relaxes the contractions in muscles and blood vessels and provides a relaxing effect on the brains and the nervous system. By providing relaxation it helps in fighting anxiety, depression, anger and stress. Davana oil acts as an effective antidepressant by providing relaxation and it also reduces blood pressure caused through anxiety and stress. It induces mental peace, positive energy, and spiritualism and helps to recover from the after effects of shock, trauma, disappointment and different personal failures. Davana oil can also be used for the mental rehabilitation of patients suffering from depression. The vulnerary property of davana oil helps to heal wounds faster and protects the wounds from infections of various kinds. 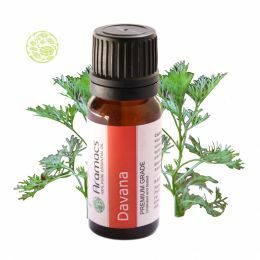 Davana oil acts as an effective emenagogue. It opens up blocked menstruation and make periods regular. It cures menstrual spasm and also eases pain related with menses and give relief from other symptoms like fatigue, pelvic pain, cramps and nausea. The vulnerary properties of davana oil help to heal wounds faster and protect them from infections. Davana oil is good for fighting infections which causes septic of internal and external wounds, urinary tracts, urethra, kidneys and other parts of the body. It provides protection against conditions like tetanus. The oil should be applied in mild concentrations in cases of cuts and wounds caused due to iron objects or dirty abrasives. Davana oil powerfully fights infections from bacteria, fungi, microbes and viruses and also help cure infectious diseases. The oil can be used in fumigants, sprays or vaporisers and it effectively disinfects the whole area and makes it free from microbes. Davana oil has mild vermifuge and insect repellent properties and also has hypotensive properties which bring down blood pressure. Davana oil is known for its aromatic, antiviral, antimicrobial, anti-fungal, antispasmodic, anthelmintic, stomachic, antioxidant, aphrodisiac, nervine and mucolytic properties. Davana oil has a strong and matchless natural odour and this is the main reason why it is used in the perfume industry. A single plant can scent the entire garden and this is the main reason why it is used in high quality perfumes and cosmetics. It is widely used in food industries as flavouring agents and is also used for flavouring tobacco, pastries and some kind of beverages. Like any other essential oil, davana oil also should not be used internally and the use of the oil should be done under the bale guidance of a health expert. Always dilute essential oils before using it topically because pure and organic oils are highly concentrated liquids and may cause skin irritation or other side effects.